User feedback plugins are ideal for WordPress users who are looking to get feedback forms up and running on their website in a matter of seconds. The thing is, if you’ve ever searched for ‘user feedback’ in the plugin library, you’re probably well aware of the fact that almost 100 pages in search results come up – which to be honest – doesn’t necessarily make it easy when trying to choose one. To help you out, we made an (updated) selection of the top 10 user feedback plugins for WordPress, which can all be found in the plugin library on the WordPress website. Learn more about the Mopinion plugin. Formidable Forms offers lots of options if you’re looking for contact forms, surveys and quiz forms. All forms are easy to build using their drag & drop editor and form entries can be viewed right from your WordPress dashboard. Need to import contact form leads to other digital marketing software such as Mailchimp? You can export your contact form leads to a CSV file and import this data anywhere. 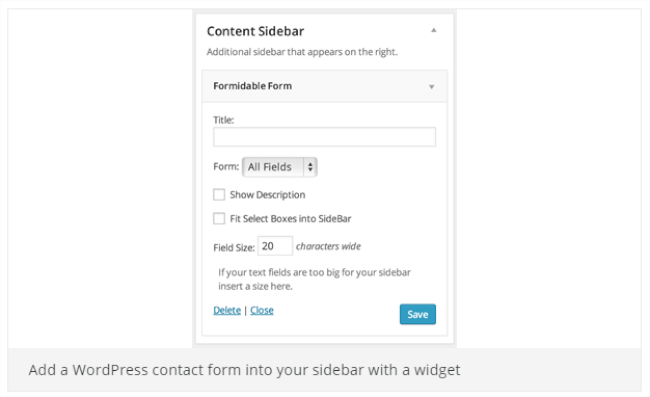 Learn more about the Formidable Forms plugin. This plugin is great for beginners. It’s got an easy-to-use drag & drop form creator that let’s users create complex forms with zero coding necessary. There are no limits to the amount of forms you create, or how many fields you want to add to a form itself. What’s also cool about the Ninja Forms plugin is tha tyou can shoot your users a ‘success message’ or redirect them somewhere else after they’ve filled in a form. Learn more about the Ninja Forms plugin. 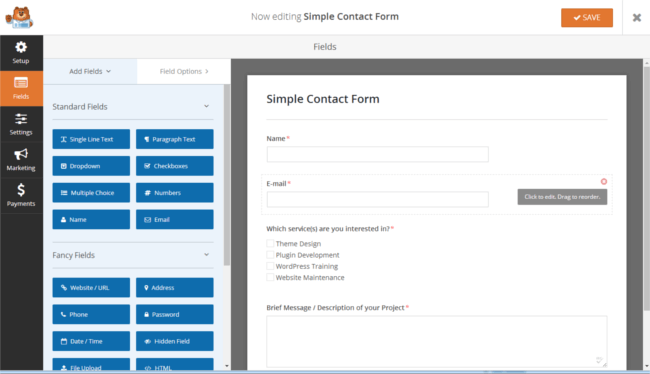 FormGet Contact Form Builder is an effective contact form building tool that is capable of building forms in seconds. But don’t be fooled by the name. This plugin supports many other types of online forms such as feedback forms, helpdesk forms, job application forms and much more. It’s very easy to install. All you have to do is select your form fields, configure your options and embed the contact form on your website by pasting a Tabbed Widget code or shortcode. Learn more about the FormGet plugin. 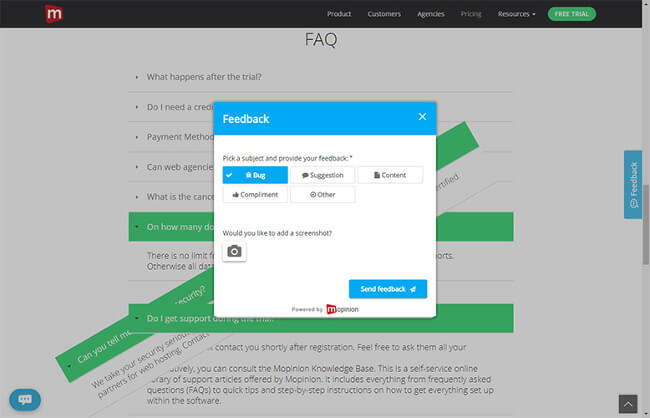 This user feedback plugin is – as you probably guessed – great for adding quizzes and surveys to your website. It offers several different types of questions for your forms including multiple choice, true & false, open answer question, fill in the blank and more. Additionally, each quiz or survey can have unlimited results pages (all customised with your text). Need a follow up feature? After the user submits a quiz / survey, you can have the plguin email you and the user with the results! Learn more about the Quiz and Survey Master plugin. CBX Feedback is a user feedback plugin that supplies users with a simple, vertical feedback button. The feedback button itself is 100% customisable (choose your background color, text, hover color, etc). With the free version, you can create one single button, however if you upgrade to PRO, you will have access to unlimited buttons, form support (from Ninja Form, Contact Form 7, Gravity Form and other software). Learn more about the CBX Feedback plugin. CaptainForm is a form builder plugin with an easy drag-and-drop interface. With this plugin users can build various types of forms including order forms, payment forms, applications forms, contact forms and of course, feedback forms. All forms are fully customisable and the form editor offers more than 25 field types. 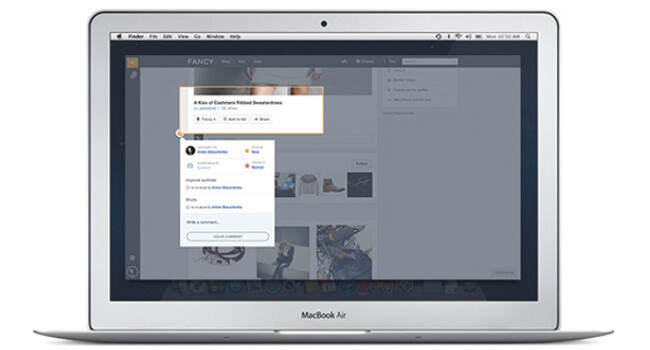 Users can set up the plugin so that multiple persons receive form submission notifications. Once data is collected, users can sort, filter, analyse data or export it to CSV, Excel or PDF. Learn more about the CaptainForm plugin. WPForms is a drag & drop form builder that enables its users to create forms, subscription forms, payment forms and more. It is 100% mobile responsive and optimised for speed. Because form fields are complete customisable, it can be used for user feedback purposes as well. It offers an impressive and long list of features including File Uploads, MailChimp forms, AWeber forms, Spam Protection, Campaign Monitor forms and much more. Learn more about the WPForms plugin. Form Maker is recommended for WordPress beginners as well as advanced users. This user feedback plugin offers a clean, visual form editor toolbox with no programming skills required. It includes an unlimited number of forms, surveys & questionnaires, registrations, online applications and much more. The package includes several pre-installed template forms, which users can customise if they wish. Results can be viewed in exported CSV or XML files. 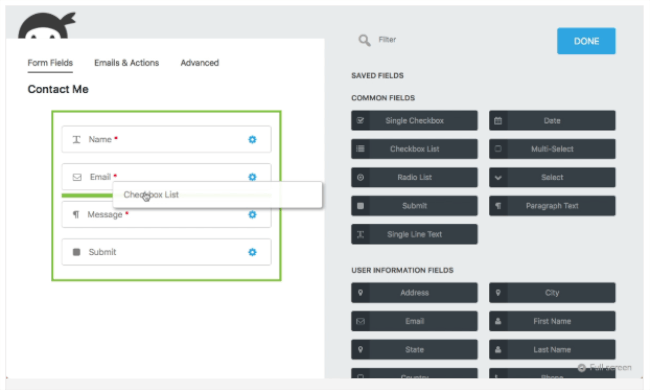 Learn more about the Form Maker plugin. TrackDuck is a visual feedback plugin that helps users learn more about the usability of their website. Each issue is marked directly in the website and comes with a comment, screenshot of the area and metadata (such as browser or device). It can be used for feedback from both colleagues and clients. To collect feedback from all website visitors, users can select this option in the project setting dashboard. Learn more about the TrackDuck plugin. You’ll need to take a few factors into consideration. Factors such as customisation capabilities, trigger options, analysis and reporting, and of course, the level of technical knowledge required to get your plugin up and running. Know of some other user feedback plugins for WordPress? Let us know in the comments!